The data for estimating the chance of hair loss with or without scalp cooling come from the international registry of hair loss. The data are continuously supplemented with new data, so that the outcomes of the estimates can change over time. Where does the information on the website and in the decision aid come from? This website and decision aid are developed by employees of the Netherlands Comprehensive Cancer Organisation (IKNL), the Department of Medical and Clinical Psychology of Tilburg University (TiU), the Centraal Begeleidings Orgaan (CBO) in Utrecht and the Rijnstate hospital. 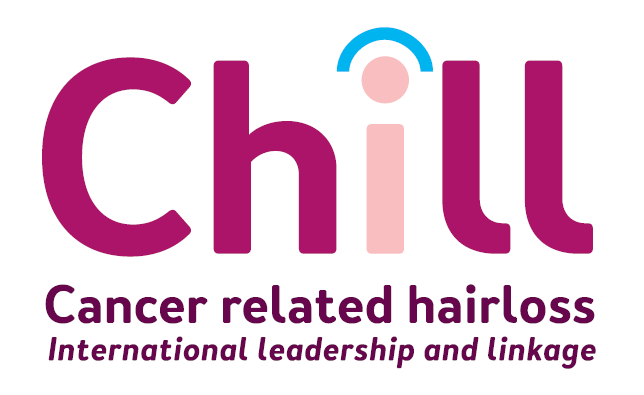 The website is kept up to date by members of CHILL. The text of this website was last updated on 23-05-2017.